Today I would like to talk about the Roman and Greek gods that I’m interested and want to find more about. The first god I’m interested is Neptune. 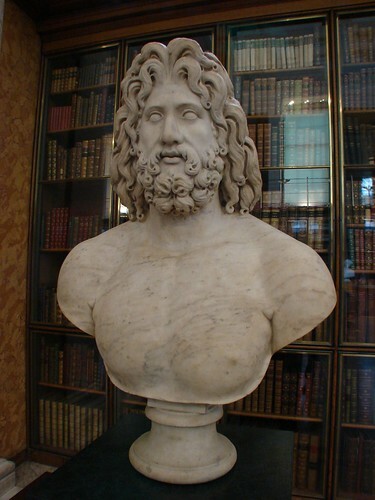 Neptune is a greek god and he is the god of sea. He is an olympian god. Neptunes powers are to control sea as you know but he posses the conventional attributes of an olympian god. He also posses superhuman strength and his olympian metabolism gives him greater than human endurance at all physical activities. Neptune can hold (press) 70 tons. Neptune can survive under water and he can communicate with all sea creatures and can move superhuman speed while he’s swimming. 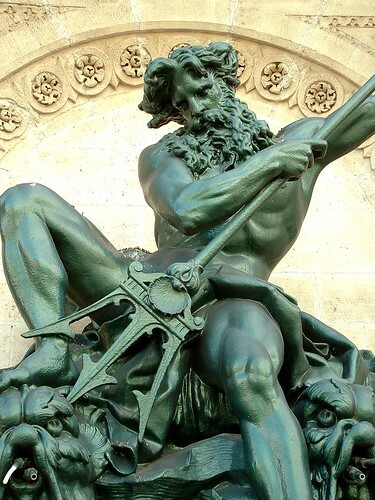 Neptune is the 2nd born son of Cronus. My second interesting god is Zeus. Zeus is also a Greek god. Zeus is the god of sky, weather. He is also an olympian god. Thousands of years ago, many people would believe in Zeus. Zeus is a Supreme ruler of Olympus. He is known by many titles such as The lord of the sky. 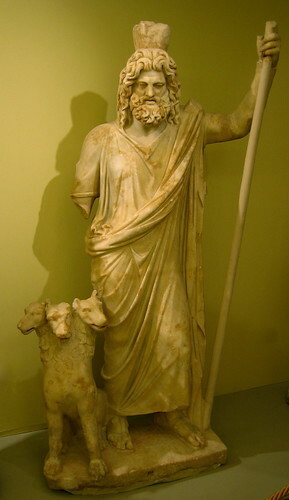 Zeus is the 6th child born to Cronus and Rhea. Zeus is the youngest son of the Titans. Zeus is a very powerful god comparing to 2 gods combined. Zeus is the guardian of political order and peace. Zeus’ power is to be the ruler of Mount Olympus and all the land. He had everything he could imagine and more. He didn’t need anything else but, he didn’t need real magical power. This is my final god I’m interested. Hades is an ancient Greek god of the underworld. Hades was also the god of the hidden wealth of the earth, from the fertile soil with nourished the seed-grain, to the mined wealth of gold, silver and other metals. He is the rulers of the dead and he controls all the riches and wealth. He owns all the precious metals found in the earth’s core. He is also known to be the ruler of Hades, which is another name for the Underworld. Hades powers weren’t much known from people. But Hades was a strong and determine god. All the demons and monsters are controlled by him. Hades is the third son of Kronus. He was born on the mountain of Olympus. In conclusion I think that I’ve learned different things about different gods and what they are. I think its really fun to learn these kinds of stuff and get education from it. I hope you learned something about it too. This is the Sakura Medal Book Podcast. What Sakura Medal Books are we choose books that are the best in every year and there are categories of Elementary, Middle and High school Sakura Medal books. Here is the website Sakura Medal. I read an Middle school Sakura Medal Book called “Legend” written by Marie Lu. In English class, we made book reviews or podcasts as you say. I hope you enjoy and I recommend you to read this book! In this unit we started to learn about tutorials. We did things like researching about our favorite tutorials on You-Tube and we explained about what was good about those tutorials and what needs to be improved. Then after that we commented on other people’s favorite tutorials. I commented on Aitor’s blog and Ashley’s blog. I took a look at Aitor’s blog and it was about how to do a BackFlip on a trampoline. For the first tutorial, I liked the way he didn’t talk but he had a slide were he explained what to do. I think that way is more easier to follow than talking because probably you might forget it so its was good. But, this person could have proofread these explaining slides. There were some spelling mistakes. That should have been improved. Now going on to the second one, It was pretty detail and it really showed. He also talked slowly so I was able to understand it. I like the way that he demonstrated it. He also introduced what he’s going to do so that was good. There was 1 part which I liked about is why did he make this tutorial. He said he couldn’t really But I think he should have been a bit more slow. I couldn’t really follow him that fast. Going on to Ashley’s blog, I think I was easy to understand for how to draw a panda. It was detailed and I think it was good. This person added music to entertain people and I think that he had lots of creativity in his mind. But things that were need to be improved was this person’s hand was in the way so I could see it 100% clearly and I also think he was too fast. I could really follow this person. But still I liked it in total. For my Tutorial, I learned where to get the Minecraft Forge from the internet and I learned where to drag all the Minecraft Forge to your Minecraft Jar folder. This person who’s a he showed us exactly where to get the Minecraft Forge from the internet and showed us how to drag that Forge data to your Minecraft Jar Folder and its very specific and easy to understand. What he could have done was to zoomed the screen more closer so that we can see what he is doing. Also he should have waited for us and give us time to do it. The title of his video didn’t really match with his video and it was confusing. His title said How to install Minecraft Forge 1.4.6/1.4.5[MAC] but he installed 1.4.2 so it didn’t really make sense. So he should have made his point more clearly so that we can understand. I learned during the investigate that you can use slideshows for tutorials. That way you can understand it clearly. I learned durting the investigate that there are lots of important things to make a good tutorial. I can use what you learned to make a good tutorial by trying it out and see what can be improved and sometimes experiment with it. I made Minecraft Tutorials on my You-Tube channel and I always keep in mind to speak clearly and slow and use the ways of making great tutorials in Technology class. I think what was same with the tutorial slideshow and the tutorials for our tutorial research is the explanation. In the You-tube tutorials and the slideshows, almost the way of explaining in words are same. But the difference was the slideshow is easier to follow than the ones on You-Tube because in the slideshow you can highlight the things you need to do but in the You-Tube tutorial its blurry and you can’t see very well so you might need to zoom in. I think to make a good tutorial I need to learn to speak in a clear voice and have the explanations make sense for the other people to understand. This is my slideshow tutorial for how to embed an You-Tube video to your blog. I think my explanation is very easy and simple to understand. I think slideshow tutorials are good use and helpful for doing things. To conclude, I think making tutorials are great practices for explanations and are also good practice to use in Technology and I think its a great idea and I think this unit was great because we were able to learn how to make great tutorials!